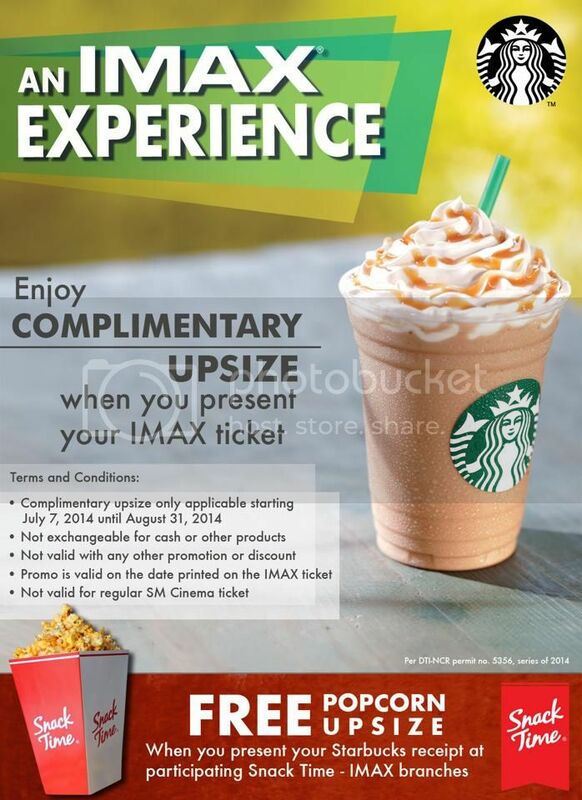 This July, well-loved brands IMAX and Starbucks partner to give a special treat to its patrons! After enjoying the movie in IMAX, you will be treated to a complimentary upsize of your handcrafted beverage in Starbucks! Just surrender your ticket, and you’ll get the treat! And when you present your Starbucks receipt in Snack Time branches in IMAX, you will get a complimentary upsize of your popcorn! Promo Period: July 1 to August 31,2014 • Offer is only valid on the date printed on the IMAX / Starbucks POS Receipt. Terms and Conditions apply. Please visit www.smcinema.com or www.starbucks.ph for the complete mechanics.